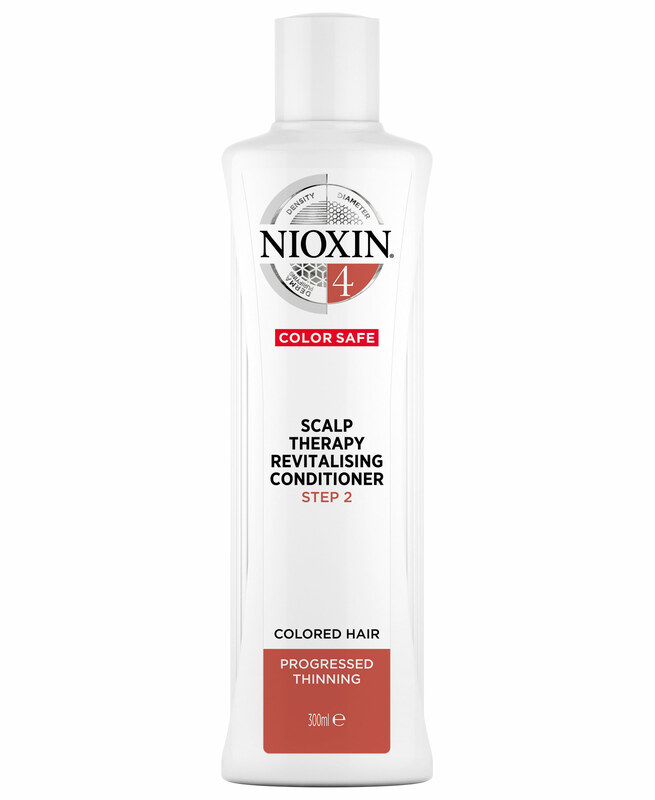 Nioxin System 4 Scalp Therapy Conditioner, 10.14oz, is for noticeably thinning, fine, chemically treated hair. A lightweight conditioner that helps provide air resilience and moisture balance control.Technologies:Scalp Access Delivery System with vitamins, botanicals, SPF 15 sunscreen, and purifying agents to help clean away follicle-clogging sebum and environmental residues from the scalp, while helping provide sun protection for the scalp.BioAMP with cystine amino acids, and lightweight conditioning and treatment ingredients; helps provide thicker-looking hair by increasing the fullness of each hair strand, and reducing hair loss through strengthening against damage and breakage.Glyco-Shield for chemically-treated hair and scalp with white tea extract, humectants, peppermint oil, and protective conditioning agents that deliver a dual shield technology to help provide protection and moisture balance to color-treated hair, while leaving the scalp feeling rejuvenated and refreshed.This is a Unisex product. • Lightweight conditioner; Perfect for thinning, fine, chemically treated hair.